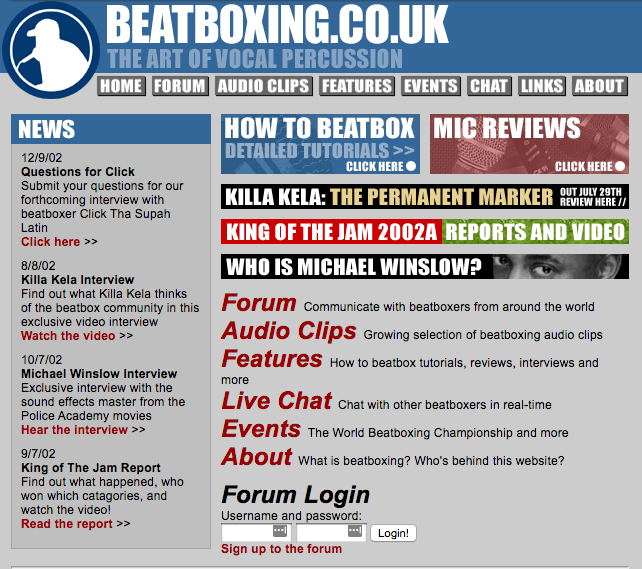 Welcome to HUMANBEATBOX.com, the voice of the beatbox community! Humanbeatbox's primary focus is to be the representative voice of the beatbox family and to further the scene by providing credible news, analyses, articles, and more creative content. We'll be the hub for beatbox battles around the world -- but that doesn't mean we'll stop there! We will also be including performances outside of beatbox battles, like as acappella shows, jams, and much more. Our ultimate goal is to promote our beatboxers and continue to grow the scene.